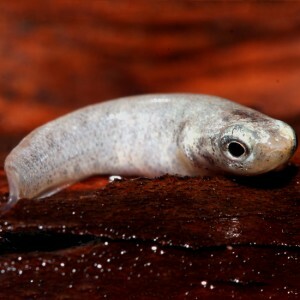 The self-fertilizing, hermaphroditic mangrove rivulus Kryptolebias marmoratus inhabits mangrove forests of the southern US and South/Central America. These tiny fish (~100 mg) tolerate a wide range in water temperatures, pH, salinities, oxygen levels, hydrogen sulfide levels, as well as prolonged air exposure. We are interested in several aspects of their extremophilic nature. What strategies are used to cope with life out of water? We discovered that rivulus excrete gaseous NH3 during air exposure, a nitrogen excretion strategy similar to terrestrial gastropods and isopods. We have used microelectrodes to follow changes in the composition of the cutaneous boundary layer. We have measured cutaneous blood vessel reactivity following air exposure using video microscopy and quantified angiogenesis using histological techniques. We discovered that angiogenesis occurs in the buccal, opercular and cutaneous surfaces after 1 week out of water. We have found that gill morphology is plastic. When air exposed, a cell mass grows between secondary lamellae (interlamellar cell mass, ILCM), but when they return to water the gills shed the ILCM. This reduction in functional gill surface area may prevent excessive water loss and/or help to support the delicate lamellar structures out of water. We have investigated iono- and osmoregulation when mangrove rivulus are air exposed, particularly focusing on cell composition of the gills and skin. We are also interested in water flux across the skin and whether junctional complexes between cells are remodeled with exposure to air. Does the skin take on the multifunctional roles normally associated with the gill in amphibious fishes out of water? Recently, we found that skeletal muscle is remodeled (more oxidative phenotype) and air-acclimated mangrove rivulus jump better. 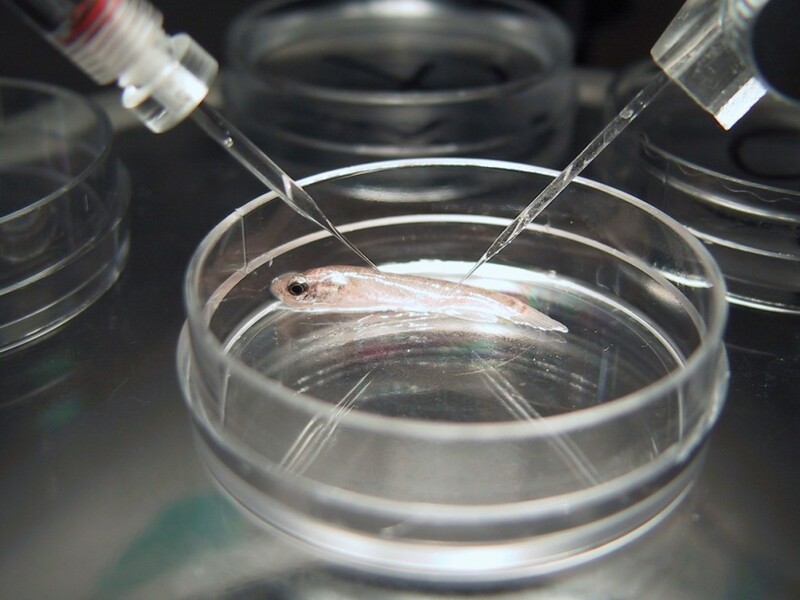 Experiments are underway to explore skeletal muscle remodeling in other amphibious fishes. These are just some of the avenues of investigation that are underway to more fully understand the remarkable physiological capability of these versatile fish. 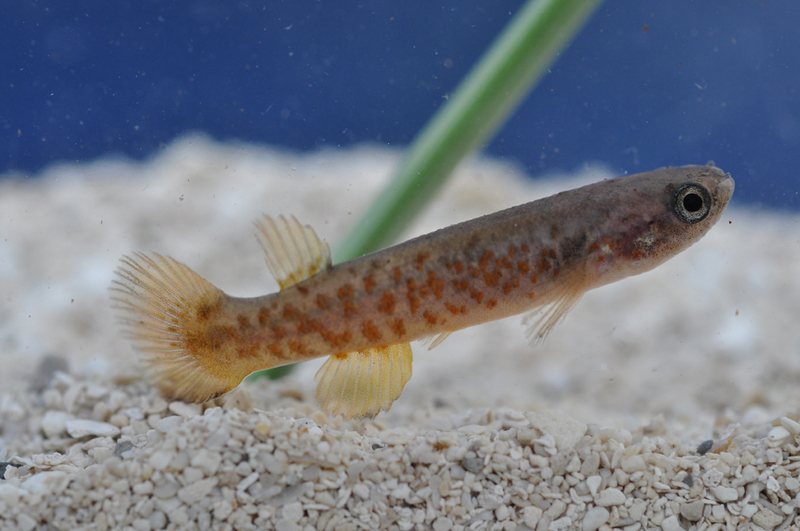 Check out our video of the mangrove rivulus jumping out of the water in our lab ! Members of the Wright lab have done fieldwork in Long Caye, Belize. 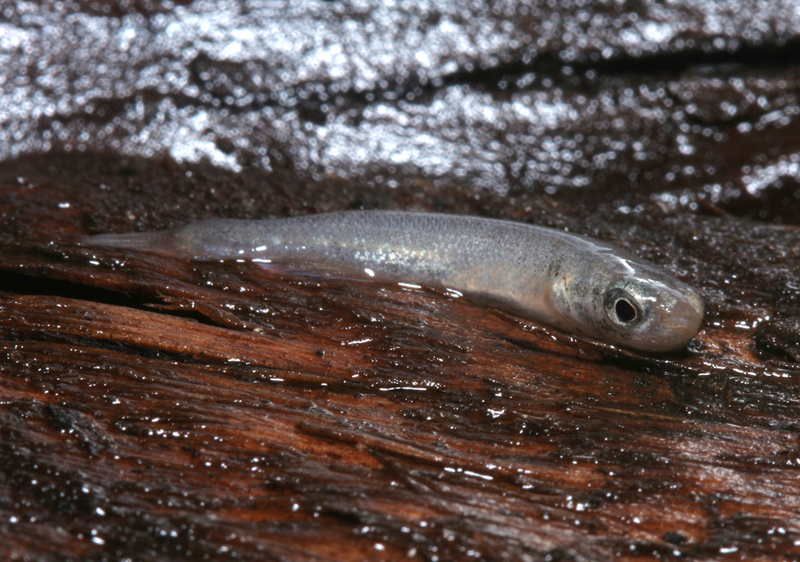 Check out this video of the mangrove rivulus in the field. You can see several fish jumping in and out of a crab burrow and in the last 30 seconds the owner of the burrow shows up for a cameo.